What’s a cat doing on this blog! All will be revealed shortly. I woke up last night with an amazing theory. It jolted me out of my sleep, and I sat up straight in bed, thinking to myself “The world will never be the same again once people know this.” It’s very simple, but it works. There are basically two types of humans. Those who resemble cats (the felines) and those who resemble dogs (the canines). Larger-than-life, passionate, sometimes ‘jack of all trades and master of none’ because they have so many interests. But when more relaxed, can be playful, curious, adventurous and loving. I think this system should replace all horoscopes. What do you think? Am I a genius? Can you think of people in your life that are felines or canines? Which type are you? Very insightful! I was a cat person when I was younger, but I don’t think my cat liked me all that much, especially after the “Circus Cat” training camp I set up for her in hopes of turning her out for a life under the red top ( I was 9) I tend to be more of a dog like person: the mutt that follows you around, gets in the way, smelly but cute ( well maybe not, but still…) but will jump in and take on someone 5 times my size if I am your friend-completely loyal and maybe to my downfall, but I’d rather be that way rather than jaded and bitter! You’re hilarious! A Circus Cat training camp???! Smelly but cute?? Love it! Personally I adore ‘dog’ people. I have many dog people in my life, like my best friend, my sister. But I must admit, sometimes ‘cat’ people can be strangely magnetic, don’t you think? 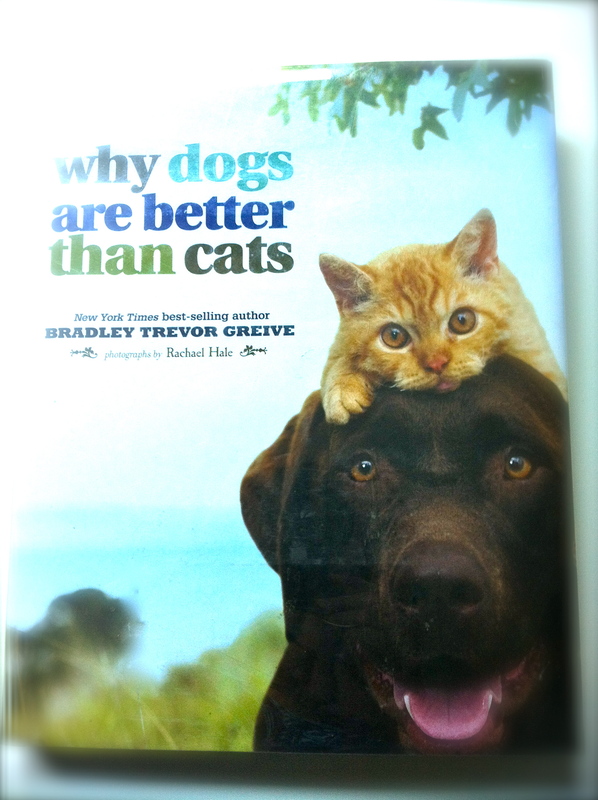 I think it’s because they’re so different to me ( you must have guessed by now that I’m a true-blue dog person). I think the cuter the name, the naughtier the animal. So “Muffins” is right up there! Other naughty animals I’ve met: “Babyface” the dog (foot-long ball of terror that bit every one that came near it); “Precious” the cat (not so precious); and “Loony” the parrot (in this case, the name was accurate). Speaking as a literal canine you got it right pal! Thanks 🙂 Love the great photos of your dad with the dachshunds by the way.